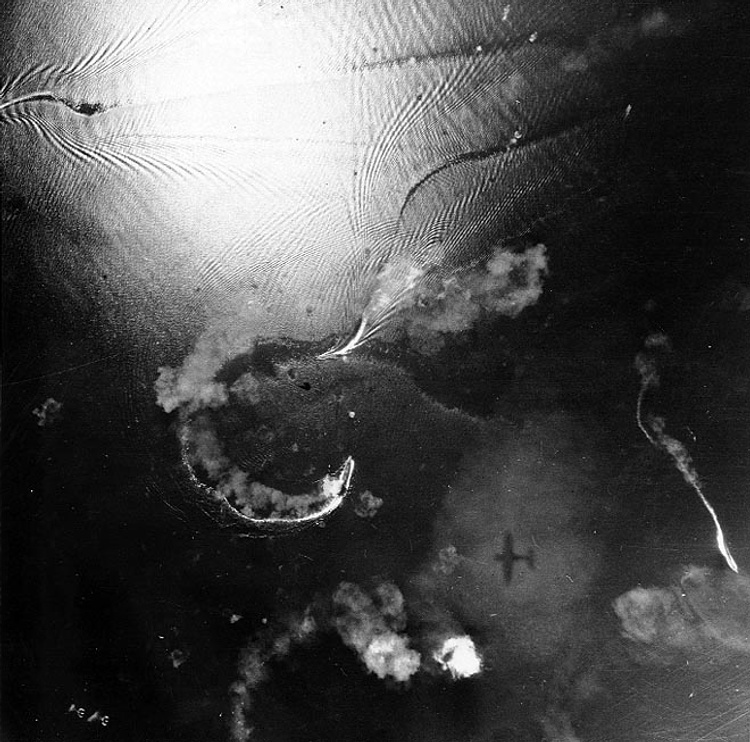 Yamato maneuvering during the battle of the Sibuyan Sea, 24 October 1944, along with other Japanese ships under attack from American carrier-based aeroplanes. Yamato is pictured lower centre. Note the shadow of an aircraft on the cloud, probably the American aircraft that took this photograph. Source: Official U.S. Navy Photograph, now in the collections of the National Archives (# 80-G-46986). If you have spotted any errors on this page (Battleship Yamato maneuvering during the battle of the Sibuyan Sea) or have anything to contribute please post it on the battleship forum.